What a busy week for Nebraska on the recruiting trail. The coaches have been all over the country doing in-home visits with key targets. They have also been busy offering 2019 and 2020 prospects as they start working ahead on the future. The Huskers added four players to the team since Sunday, so they are red-hot right now with a lot of momentum. >>I learned this morning that Nebraska likely won’t be hosting any official visitors this weekend. At first glance, you may be shocked considering where Nebraska’s class was prior to Scott Frost taking over and knowing that every visit weekend needs to be maximized. Actually, this development can be viewed as a positive for Nebraska. 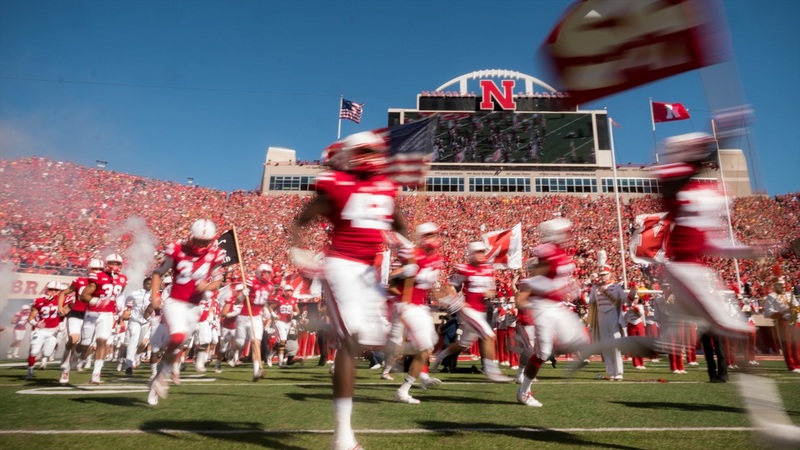 The Huskers have added four players since last Wednesday and with each commit, their needs shift a bit in regards to who they need to have on campus. Add into the mix that the number of available official visits to use is low and that’s pretty much how we got here. I expect there to be some shuffling of the visitors scheduled for Jan. 26 and Feb. 2 depending on who commits in the next week. The word of the day is “fluid” because that describes Huskers recruiting right now, but things are going quite well. >>The only real bad news for not hosting any visitors this weekend is that 4-star running back Jashaun Corbin will not make it to campus. In theory, he could end up coming in next weekend but I would say it’s unlikely he ever makes it to Lincoln. The staff has done a good job of having a plan though and 3-star running back Ta'Zhawn Henry‍ is the next man up. Henry is heading to Oregon State this weekend, Texas Tech next weekend and Nebraska the final weekend before signing day. >>Last weekend is proving to be successful in closing prospects that were on campus. We know that athlete Miles Jones and defensive end Casey Rogers are officially in the class. Plus Ole Miss transfer Breon Dixon also joined the team immediately as a transfer. Offensive lineman Jarrett Bell‍ is a Nebraska lean, and he announces his decision on Monday following an in-home visit from Frost. From there I believe Nebraska could secure cornerback Braxton Clark‍ if they push for him, but the Huskers will likely wait to see what cornerback Taiyon Palmer‍ decides before making the decision on Clark or any other corner. The two pass rush specialists, 4-star outside linebacker Caleb Tannor‍ and 3-star Javontae Jean-Baptiste‍, are both terrific prospects and Nebraska made big impressions on both. I would say Nebraska has a better chance with Tannor right now because Jean-Baptiste is heading to Columbus this weekend. If Urban Meyer pushes it’s believed he will join the Buckeyes' class. Interesting tidbit on both of them though, both players have people around their recruitment that are pro-Nebraska. The total package of what Nebraska offers on the field and in the classroom really made an impression on all parties involved. >>Something we talked about a lot under Mike Riley was just how organized the recruiting efforts were. That was certainly true, and they did a great job of getting guys to campus but didn’t necessarily have a great success rate closing them. Riley’s staff also did not do a good job of having “back-up” plans ready to go in case a guy or two said no. Running back TJ Pledger was a good example of this. So was 5-star offensive tackle Foster Sarrell from last cycle. Fast forward to this condensed cycle for Frost and company. We’ve already seen closing ability with a high-caliber player like Adrian Martinez or Will Honas. We have also seen them work through their board of players at running back and wide receiver. Right now it appears the days of not filling classes because you missed on your top targets are over.